The pharmaceutical company Eli Lilly and Co ("Lilly") has developed a drug called pemetrexed which it markets under the brand name Alimta for the treatment of various types of cancer. Used on its own, pemetrexed has unpleasant side effects that can sometimes be fatal but these can be avoided when it is administered as a compound called pemetrexed disodium in combination with vitamin B12. The use of pemetrexed disodium in the manufacture of a medicament for use in combination with vitamin B12 (and, optionally, folic acid) for the treatment of cancer is monopolized in the United Kingdom, France, Italy, Spain and a number of other European countries by European patent number No 1 313 508. There are also corresponding patents for the same invention in many other countries around the world. This medicine is not cheap. According to Wikipedia, one phial cost between US $2,623 and $3,100 in the USA in 2015. Actavis UK Limited is a member of a group of pharmaceutical companies that are collectively known as "Actavis" which make and market branded and generic products. Actavis have developed competing products which use pemetrexed diacid, pemetrexed ditromethamine, or pemetrexed dipotassium instead of pemetrexed disodium but achieve very much the same therapeutic effect. The claims of the patent mention only pemetrexed disodium but the persons to whom this patent is addressed ("the skilled addressee") would have known that the compounds used by Actavis work in very much the same way. 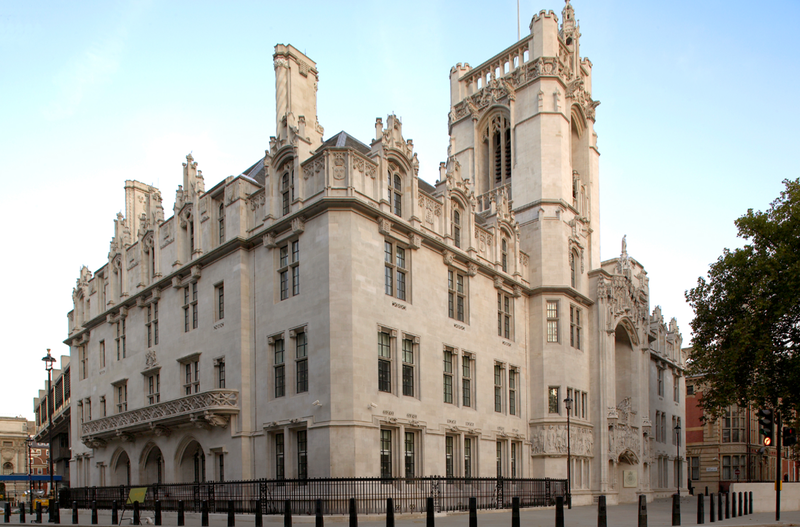 The question for the Supreme Court, the highest court of the United Kingdom, was whether Lilly should be held to the strict wording of its claims or whether those claims could be interpreted to include compounds similar to pemetrexed disodium that work in the same way. The stakes for the parties to this litigation were enormous. The Court was deciding not only whether Actavis's competing product could be sold and used here but also whether it could be sold and used in France, Spain and Italy. In combination, those four countries make up one of the largest and richest healthcare markets in the world. Actavis UK Ltd and other companies in the Actavis group applied to Mr Justice Arnold for a declaration that their products did not infringe Lilly's patent under s.71 of the Patents Act 1977 in Actavis UK Ltd and Others v Eli Lilly and Company  RPC 6,  EWHC 1511 (Pat),  BUS LR 154,  4 All ER 331,  2 All ER (Comm) 669 while Lilly counterclaimed for infringement. Mr Justice Arnold decided in favour of Actavis so Lilly appealed to the Court of Appeal. In Actavis UK Ltd and others v Eli Lilly and Company  Bus LR 1068,  EWCA Civ 555,  WLR(D) 274, Lords Justices Floyd, Kitchin and Longmore decided that, while there was no direct infringement of the patent, it could be infringed indirectly in that pemetrexed disodium is involved in the preparation of Actavis's products before they are administered (see para  of the Court of Appeal's judgment). Both sides appealed to the Supreme Court - Lilly against the finding that there had been no direct infringement and Actavis against the finding of indirect infringement. Much of my work has been done for me by the Supreme Court. Lord Neuberger summarizes this case and the Court's judgment in the video that appears on the appeal's web page. His summary is also on YouTube. There is also a press summary and the full judgment is on BAILII. Possibly the most interesting materials are the videos of counsels' submissions in the case which can be accessed from the appeal web page. They show the English patent bar at its very best. If you know nothing about patent law you should first read What is a patent? and "What is a Patent?" and "How is a Patent infringed?" on my Patents FAQ page. You will find Lilly's patent specification here. The description of the invention is on pages 2 to 8 and the claims in English are on page 9 with translations into German and French on the subsequent pages. You will notice from the front page that the patent is granted by the European Patent Office ("EPO"). The EPO is nothing to do with the European Union. It is an intergovernmental agency that examines patent applications and grants patents on behalf of the governments of the states that are party to the European Patent Convention ("EPC"). A European patent that designates the UK (such as this one) is for all practical purposes exactly the same as one granted by the Intellectual Property Office in Wales. The issue before the Court was whether the patent was limited to pemetrexed disodium as specified in claims 1 and 12 or whether it extended to similar compounds that operated the same way. One other point to note is that specifications are meant for skilled addresses (also known as "persons skilled in the art" or in older and more sexist times "men skilled in the art") or persons in the know. Such folk tend to have their own jargon and shorthand. A word or phrase that means one thing to the general public may mean something quite different to them. When interpreting claims a judge has to read the patent in the way it would be read by a skilled addressee. those of the general the general public for reasonable competition. "There is an inevitable conflict between the desirability of giving an inventor an appropriate degree of protection in a particular case and the need for clarity of principle as to the extent of such protection generally; and, of course, there is an unavoidable tension between the appropriateness of giving an inventor a monopoly and the public interest in maximising competition." The importance of this case is that it restruck the balance much closer to the interests of the inventor than had happened in previous cases. Also, the judgment considered topics such as the "doctrine of equivalents" and "file wrapper estoppel" that are well known in the United States but not here. "My Lords, a patent specification is a unilateral statement by the patentee, in words of his own choosing, addressed to those likely to have a practical interest in the subject matter of his invention (i.e. 'skilled in the art'), by which he informs them what he claims to be the essential features of the new product or process for which the letters patent grant him a monopoly. It is called "pith and marrow" of the claim. A patent specification should be given a purposive construction rather than a purely literal one derived from applying to it the kind of meticulous verbal analysis in which lawyers are too often tempted by their training to indulge. The question in each case is: whether persons with practical knowledge and experience of the kind of work in which the invention was intended to be used, would understand that strict compliance with a particular descriptive word or phrase appearing in a claim was intended by the patentee to be an essential requirement of the invention so that any variant would fall outside the monopoly claimed, even though it could have no material effect upon the way the invention worked." "Article 69 should not be interpreted as meaning that the extent of the protection conferred by a European patent is to be understood as that defined by the strict, literal meaning of the wording used in the claims, the description and drawings being employed only for the purpose of resolving an ambiguity found in the claims. Nor should it be taken to mean that the claims serve only as a guideline and that the actual protection conferred may extend to what, from a consideration of the description and drawings by a person skilled in the art, the patent proprietor has contemplated. On the contrary, it is to be interpreted as defining a position between these extremes which combines a fair protection for the patent proprietor with a reasonable degree of legal certainty for third parties." (3) Would the reader skilled in the art nevertheless have understood from the language of the claim that the patentee intended that strict compliance with the primary meaning was an essential requirement of the invention? If yes, the variant is outside the claim. "For the purpose of determining the extent of protection conferred by a European patent, due account shall be taken of any element which is equivalent to an element specified in the claims." The reference to equivalents brought to mind the US doctrine of equivalents. The essence of the doctrine, as expressed by Mr Justice Jackson in Graver Tank & Mfg. Co. v. Linde Air Products Co., 339 U.S. 605 (1950), is that one may not practise a fraud on a patent. It is founded on the proposition that, if two devices do the same work in substantially the same way and accomplish substantially the same result, they are the same, even though they differ in name, form or shape. In determining equivalence, consideration must be given to the purpose for which an ingredient is used in a patent, the qualities it has when combined with other ingredients, the functions which it is intended to perform, and whether persons reasonably skilled in the art would have known of the interchangeability of an ingredient not contained in the patent with one that was. In the case before the US Supreme Court, the question was whether a claim for a combination of alkaline earth metal silicate and calcium fluoride had been infringed by the substitution of manganese silicate (which is not an alkaline earth metal silicate) for magnesium silicate (which is an alkaline earth metal silicate), where the two compositions were substantially identical in operation and result. American judges have long recognized that if a patentee is freed from the strict wording of his or her claim, there needs to be some other limitation to its interpretation. That limit is file wrapper or prosecution history estoppel as expounded in Festo Corp. v. Shoketsu Kinzoku Kogyo Kabushiki Co. 535 U.S. 722 (2002). That prevents an inventor from claiming more than the protection that he or she claimed during the application process. "There is often discussion about whether we have a European doctrine of equivalents and, if not, whether we should. It seems to me that both the doctrine of equivalents in the United States and the pith and marrow doctrine in the United Kingdom were born of despair." "Since the Catnic case we have article 69 which, as it seems to me, firmly shuts the door on any doctrine which extends protection outside the claims. I cannot say that I am sorry because the Festo litigation suggests, with all respect to the courts of the United States, that American patent litigants pay dearly for results which are no more just or predictable than could be achieved by simply reading the claims." "In my view, notwithstanding what Lord Diplock said in Catnic  RPC 183, 242, a problem of infringement is best approached by addressing two issues, each of which is to be considered through the eyes of the notional addressee of the patent in suit, ie the person skilled in the relevant art. Those issues are: (i) does the variant infringe any of the claims as a matter of normal interpretation; and, if not, (ii) does the variant nonetheless infringe because it varies from the invention in a way or ways which is or are immaterial? If the answer to either issue is “yes”, there is an infringement; otherwise, there is not. Such an approach complies with article 2 of the Protocol, as issue (ii) squarely raises the principle of equivalents, but limits its ambit to those variants which contain immaterial variations from the invention. It is also apparent that the two issues comply with article 1 of the Protocol in that they involve balancing the competing interests of the patentee and of clarity, just as much as they seek to balance the encouragement of inventions and their disclosure with the need for a competitive market. In my view, issue (i) self-evidently raises a question of interpretation, whereas issue (ii) raises a question which would normally have to be answered by reference to the facts and expert evidence." "i) Notwithstanding that it is not within the literal meaning of the relevant claim(s) of the patent, does the variant achieve substantially the same result in substantially the same way as the invention, ie the inventive concept revealed by the patent? In order to establish infringement in a case where there is no literal infringement, a patentee would have to establish that the answer to the first two questions was 'yes' and that the answer to the third question was 'no'." Lord Neuberger then applied that reasoning to the question whether Actavis's use of three alternative compounds for pemetrexed disodium infringed claims 1 and 12 and found that it did. Having found direct infringement it was not necessary to consider the cross-appeal on the finding of indirect infringement. Traditionally, the courts have not considered it necessary to refer to the prosecution history without very good reason. In this case, Lilly had filed a fresh set of claims which Actavis argued had the effect of limiting the claims. The Supreme Court rejected the argument and reaffirmed the principle "that reference to the file would only be appropriate where (i) the point at issue is truly unclear if one confines oneself to the specification and claims of the patent, and the contents of the file unambiguously resolve the point, or (ii) it would be contrary to the public interest for the contents of the file to be ignored." Neither of those exceptions applied here. The Supreme Court allowed the appeal and held at  that the Actavis products infringed the European Patent in the UK, France, Italy and Spain. It also dismissed Actavis’s cross-appeal on the basis that if its products did not directly infringe, they would indirectly infringe to the extent held by the Court of Appeal. If you wish to discuss this case, please call me on 020 7404 5252 during office hours or send me a message through my contact form.